Newsletter: 10,000 journalists for 2 years to work on just one story? Every year in December, my subscription rate drops by almost 50% because everyone is spending their time thinking about Christmas (and their personal shopping). This sounds bad, but the upside is that January is my best month, with a subscription rate that is 2-3 times higher than normal. The result is that December is not a very important month for me as a media analyst, and I don't plan to publish any more articles (other what you see below) this year. Instead, I'm currently working all I can to prepare two really good Plus reports for January. I already have one Plus report done and ready for publishing, and I'm currently working on the other. 2018 is going to be an amazing year. There are so many exciting and positive trends for us to work with. So, enjoy this newsletter, and have a wonderfully relaxing Christmas. Every new year, people start writing about what they predict will happen in the next year. I used to do this as well, but this time I want to do something different. Instead of talking about predictions for 2018, which is just something people read and they just wait for to happen. Let's instead talk about the focus areas that you should actually do something about in 2018. I also mentioned this in my last newsletter, but my 46-page guide to journalists who are considering starting their own channel (monetized by Patreon etc.) has received a lot of very positive feedback. This is, of course, something I'm very happy about, so I just want to mention this again. But also, Christmas (and December in general) is usually the time where people start to think about their future, so if you know a journalist who are thinking about doing something like this, please do share this article with them. Remember, as a Plus subscriber, the person you share a Plus article with can read it completely for free. Just send them the URL and it will automatically unlock (they don't have to register). So, if you want to help out a friend or someone you care about, this would be a good way to do that. What if you could hire 10,000 journalists for 2 years to work on just one story? In 2018, we are going to talk a lot more about AI and how this is going to influence publishers in the future, but let me give you something to think about. There are several very amazing things about AlphaZero. One is that it wasn't taught how to play chess (except for the basic rules). Instead, it started from 'zero' and just worked it out. This in itself was pretty spectacular because it illustrates how effectively computers are now able to learn. "I have always wondered about, if we are ever visited by aliens, how would they play chess? Now we know. It's the most fascinating and frightening thing I have ever seen." This illustrates something very important about AI. 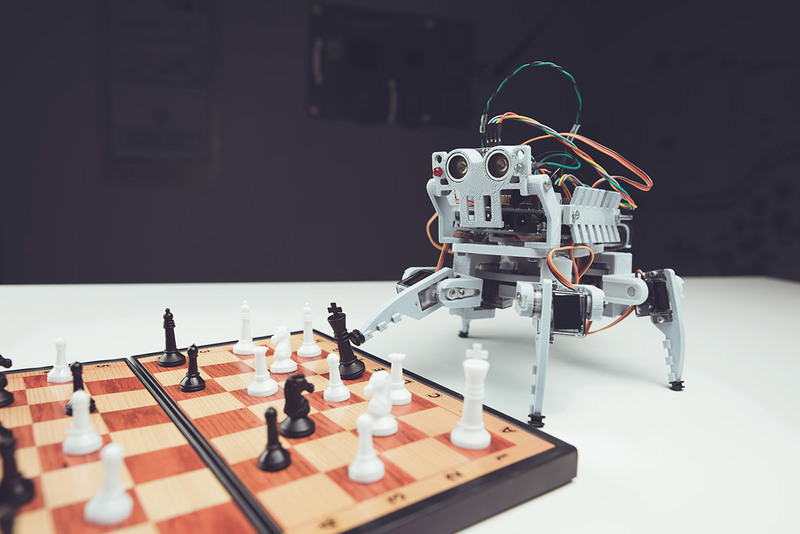 The future of AI isn't about how we can get it to do something we already know how to do today, but how it will allow us to do things in completely different ways that no human would ever think about. And this is a very important thing to understand for publishers. Many editors talk about how AI is going to make our world more efficient (or how it will replace jobs), but that's not really what you should focus on. What will actually happen is that AI will redefine publishing and allow publishers to do things we never even thought about before. And this change will have a much more profound effect (both positive and negative) for the future of publishing. So imagine if aliens were to land on Earth and start a newspaper or a magazine, what would that be like? Well, we are about to find out! Finally, I just want to give you a sense about how fast AlphaZero really is. The total time it spent learning chess was 9 hours, during which it played 44 million games of chess. To put this into perspective, this is the equivalent, in terms of man-hours, of a publisher hiring 10,000 journalists for 2 years ... all working on just one story. Just think about that for a moment. It's insane. And this is another place where AI will dramatically change how we see the world. Today, every journalist is defined around a resource limitation. For instance, if you want to write an article about changes in a specific industry, you would look at only a handful of annual reports because you don't have the time to look at everything. But an AI will have no such limitation. And you can then apply machine learning to spot patterns and trends that no human can see. Think about how big a difference this can have on not just what you cover, but also how it is covered. The important of Trust and labels? Finally, let's talk about 'trust'. 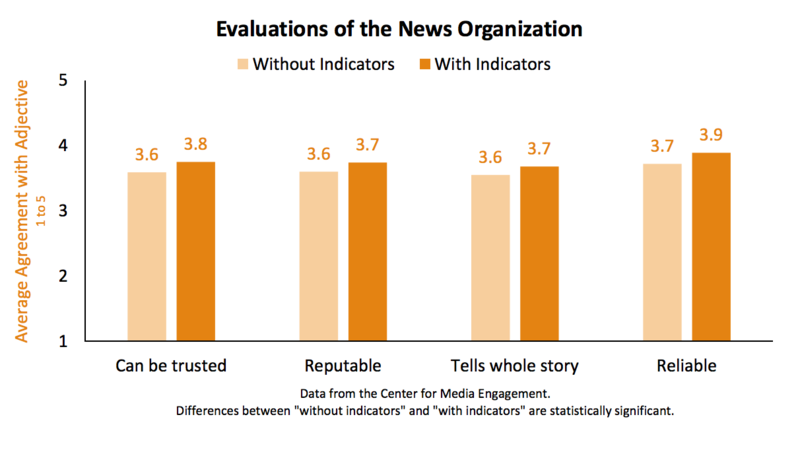 For 2018, my number one wish for newspaper is for them to start actively using trust indicators to differentiate and present their articles, and we now have some research to back up why this is a good idea. NiemanLab recently wrote about The Trust Project, who has done some experiments into how big a difference trust indicators make. What they found was promising. For instance, when measuring change in trust compare to different trust indicators, it generally created more trust (see pic below). It's important to note, though, that while they did see an effect, the total amount of trust didn't actually go up by that much. I'm not surprised that the immediate effect was kind of slow, because you can't tell people to trust you. But imagine if every newspaper started to very clearly label articles, to clearly differentiate the source of each story and to provide other trust indicators. The accumulate effect over time would be amazing. BTW: Also read Rachel Schallom's (Newsroom transformation at WSJ) excellent article about the same thing: "Better design helps differentiate opinion and news". So let's make 2018 the year where every publisher starts to use trust indicators to bring back the value of news.